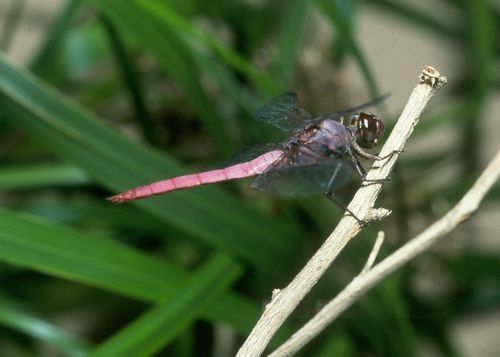 Habitat: Larvae prefer thickly vegetated areas in lower stream reaches, and wetland areas, but this species is a strong flyer and can be found far inland. Preferred Area of Stream: Low elevation wetlands and the lowest portions of streams near the ocean, kalo lo‘i. Fact: This species is a recent introduction and was first recorded from the Big Island in 1994, with the larvae likely coming in and attached with aquarium plants. The effects of this species on native freshwater biota are unknown.